Routing and sealing pavement cracks with a Standard Recessed Band-Aid (or over-band) can increase sealant life by over two-times that of non-routed and sealed cracks and there is no better machine on the market than the Model 30 Router. There are four different pavement Model 30 Router configurations, many options and different cutters to meet your demands and exceed your expectations. 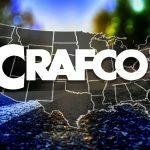 The Crafco Pavement Router has been the industry best for thirty years. The Occupational Safety and Health Administration (OSHA) established new guidelines effective September 1, 2017, for workforce exposure to respirable silica (Quartz) particulates. Occupational exposure to respirable crystalline silica occurs when cutting, sawing, drilling, and crushing of concrete, brick, ceramic tiles, rock, and stone products. It can also occur in operations that process or use large quantities of sand, such as foundries and the glass, pottery and concrete products industries. OSHA estimates that more than 2.3 million workers in the United States are potentially exposed to dust containing crystalline silica with nearly 90% of those workers employed in the construction industry. 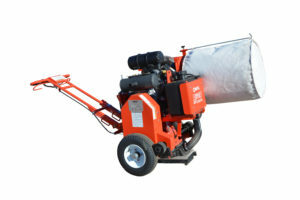 *OSHA’s Action Level (AL) limit for silica exposure is 25 ug/m3 per 8 hour day. Crystalline Silica is a respirable particulate that is 100 times smaller than sand on the beach. Its chemical compound is Silicon dioxide (SiO2) and it makes up a majority of the planet’s crust. It can be found in almost ALL mine, including coal as well as in brick and mortar, concrete, slate, granite, sandstone, tile, asphalt filler, roofing granules and soils just to name a few. It also can be present in residential settings such as countertops, wallboard joint compounds, paint, plaster, caulking and putty. Crystalline Silica is categorized as a respiratory toxin that causes silicosis, COPD, and lung cancer. OSHA has also, linked occupational silica exposure to some forms of kidney disease and has conducted more than 50 peer review studies that link silica exposure and lung cancer in at least 10 industries. Is your company ready for OSHA’s new Action Level Limits for Silica emissions? What are you doing to protect your employees’ health? 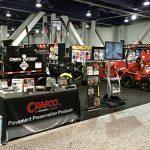 An independent study has proven that all airborne contaminant exposures for Crafco pavement routers were below occupational exposure limits (OELs). 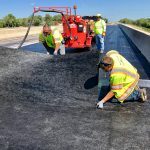 Crafco Dust Control Pavement Routers substantially reduced exposure to OELs vs. standard pavement routers, producing ~38% less respirable silica particulates and 50% less total dust. * OSHA Action Level from 29 Code of Federal Regulations (CFR) 1910.1000 Tables Z-1, Z-2, and Z-3, and in 29 CFR 1910.1001 through 1910.1096.